After all the fun we had at the Mr. Peabody & Sherman screening, we had even more fun on a Sunday event for a client near and dear to us. 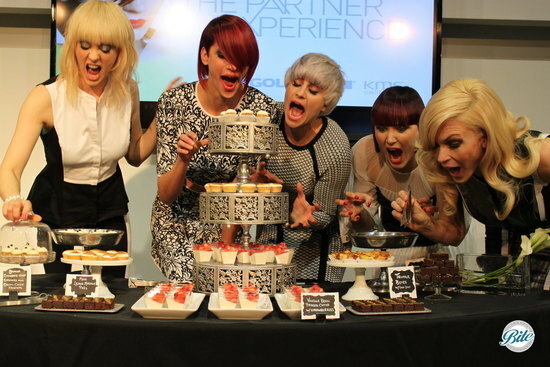 The KAO Academy in Santa Monica hosted a very fabulous and very chic hair fashion show and demo for industry colleagues and we were so happy to be a part of it! 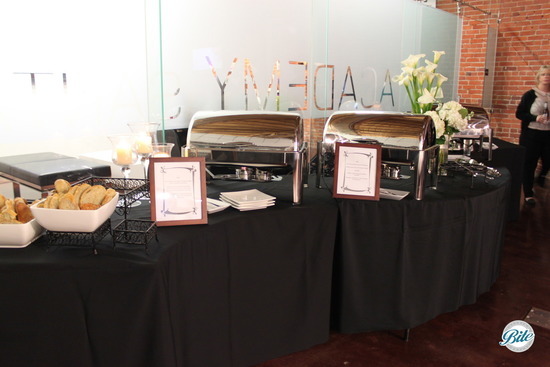 The menu included selections for a cocktail hour, dinner buffet, and a dessert station. Cocktail hour:Guests enjoyed bite-sized yummies, including smoked chicken quesadillas and sesame-crusted seared ahi tuna. Dinner:We featured two kinds of salad (asparagus and classic caesar), pistachio-crusted wild seasonal catch, lime chicken, and pink peppercorn-crusted steak, and more. 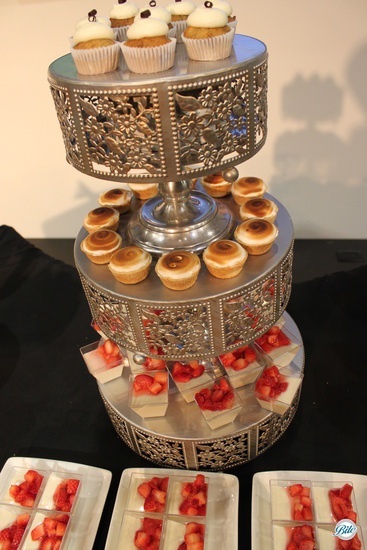 And for those with room for dessert... (there’s always room for dessert, right? The right answer is always YES! After all, life is too short to skip a dessert.) we provided a Chef's Choice of seasonal spring desserts. 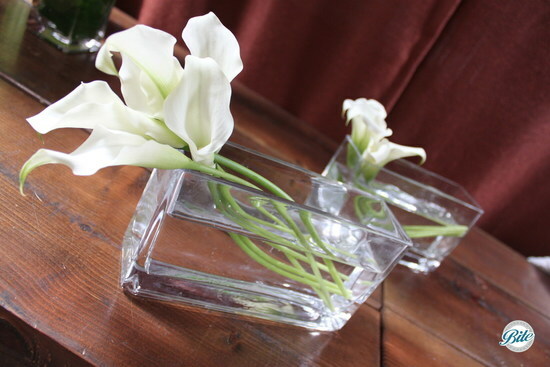 Modern arrangements that fit perfectly with the fashionable event and space. 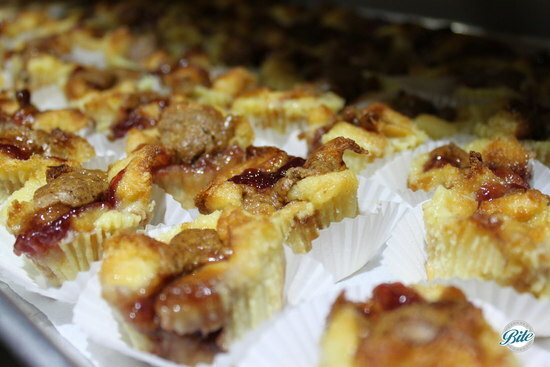 Almond butter and strawberry jelly bread pudding bites. 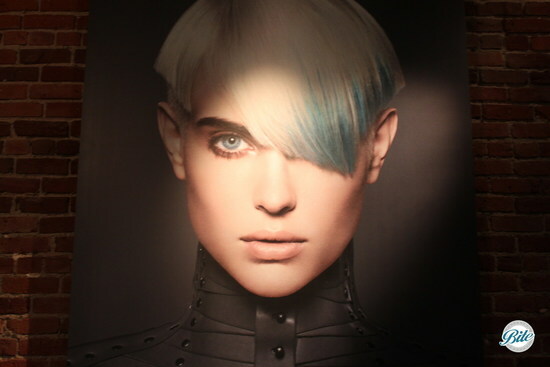 A little editorial shooting we did around the salon’s inspiring space. 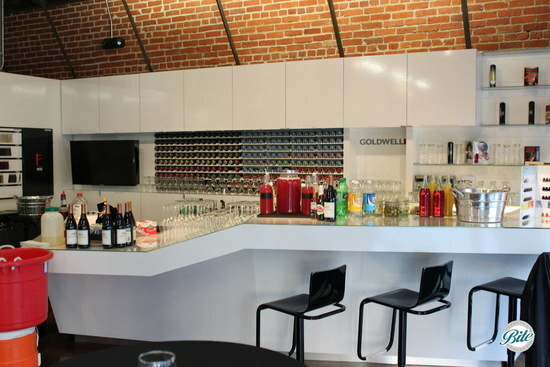 We converted the salon’s color bar literally into a bar! 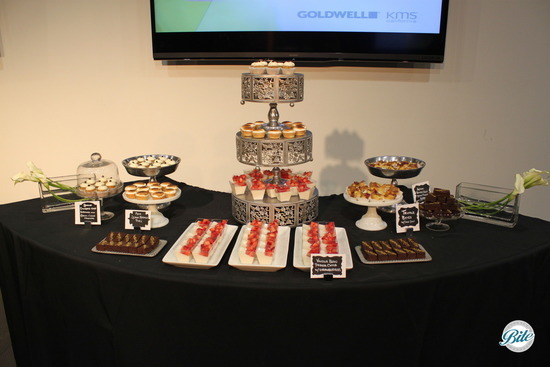 Guests loved it! 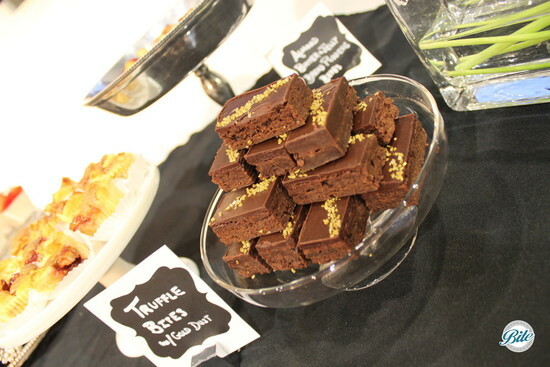 Chocolate truffle bites with gold dust. Black linens + Silver chaffing dishes + all white florals complemented the modern lofty aesthetics of the space. Our chocolate chip banana muffins, lemon meringue pies, and strawberry panna cotta bites patiently (and may we say cutely) waiting to be eaten.